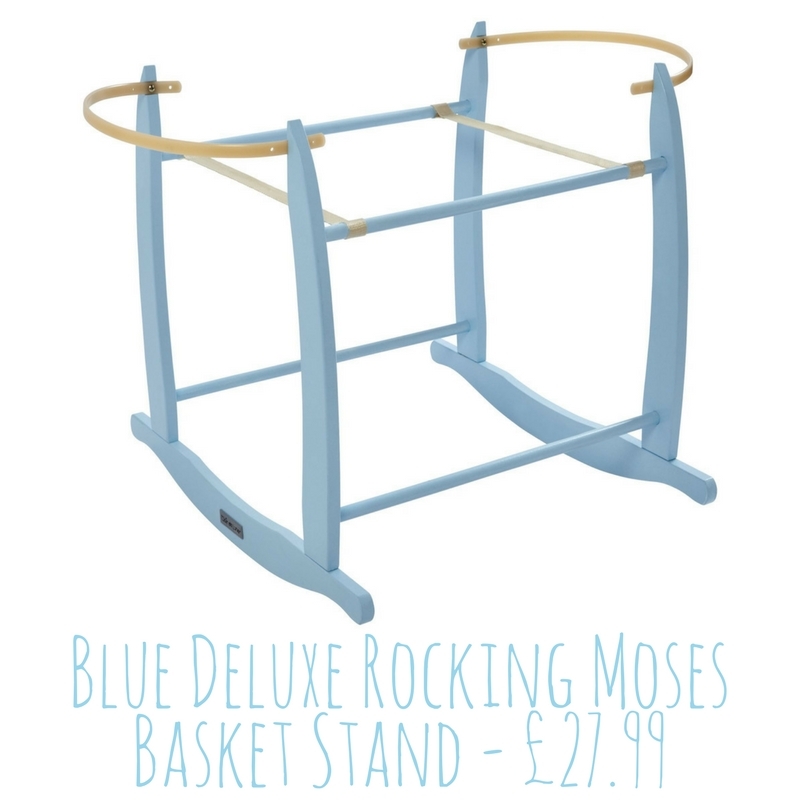 Add a splash of colour to your newborn's nursery with the new & exclusive Blue & Pink Deluxe Rocking Moses Basket stands! 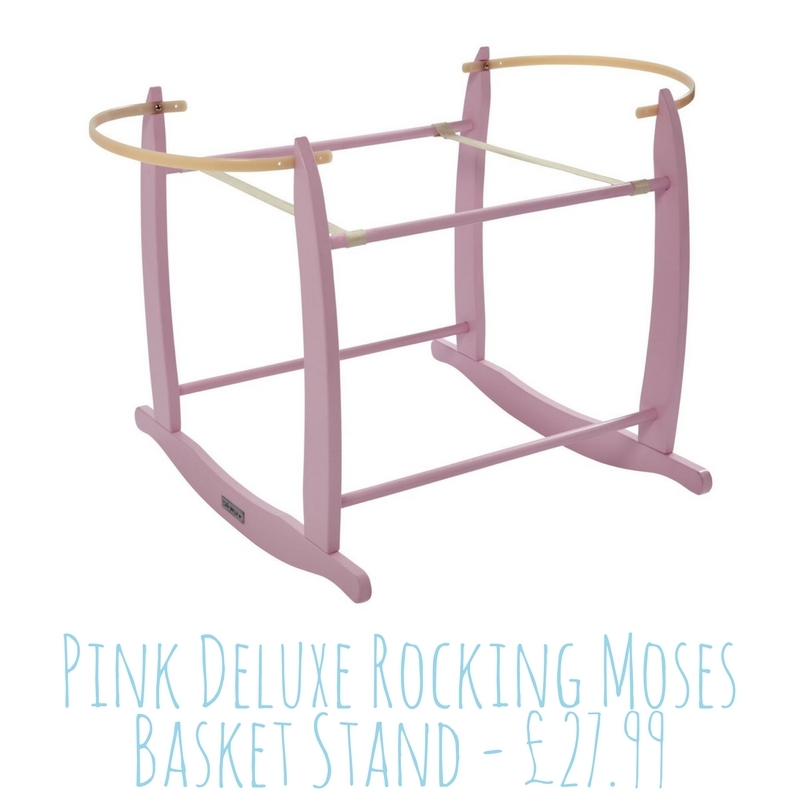 Why not match the pink stand with one of our new pink Moses baskets, such as the gorgeous Tippy Toes? The all-over print features all things pretty in pink from roses and hearts to dance bags and ballet shoes. The star of the show is the happy little ballerina, twirling underneath a candelabra. Evoking all things romantic and lovely in pink, you know your little one will have the sweetest dreams! What's not to love? With a gentle push, the stand will rock and soothe your newborn to sleep. AND it also locks into a stationary position you you can lift your baby in and out safely, securely and with more confidence! 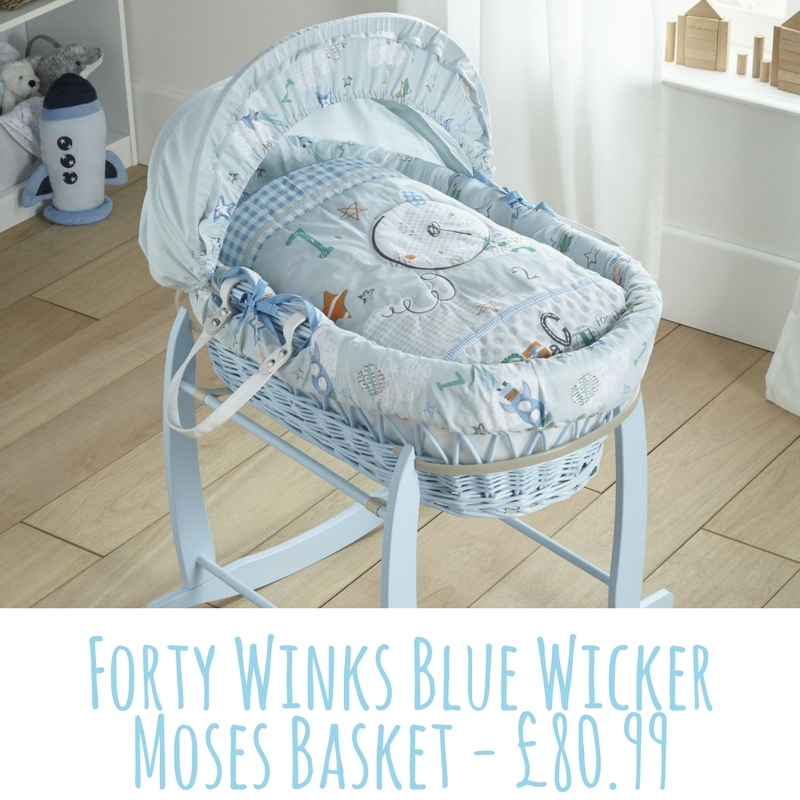 The Forty Winks Blue Moses Basket in hues of blue, turquoise and with accents of orange and featuring space Ted with his rocket ship on a fun adventure through space. Finished with contemporary contrasting prints, detailed top stitching and embroidery, you'll be able to catch Forty Winks too while they rest! Mix & match with Blue, Pink or White Wicker Moses baskets for a super stylish statement in your nursery!